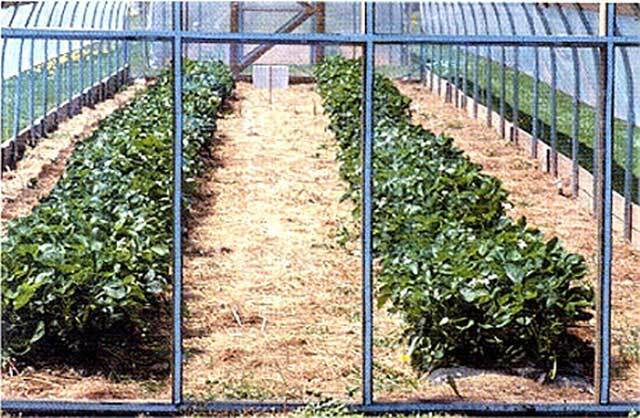 Eskay Lite is a crystal clear, 16-mil vinyl covering to be used as a greenhouse cover where appearance and visibility are important. Used on the ends and sides of polyethylene greenhouses, Eskay Lite is attractive and allows customers to see into the structures. This material is treated to be flexible to - 40 degrees F and has a U.V. inhibitor that gives a 4-year life under most conditions. One layer of Eskay lite provides good visualization and is sufficient in all but the coldest of climates. It is very easy to install so that Eskay Lite is a very attractive product that adds a dimension of warmth and beauty to greenhouses and sales areas. Eskay Lite is available in rolls either 54" x 50'or 54" x 225'. Eskay Lite can be installed using methods that apply for any greenhouse film. 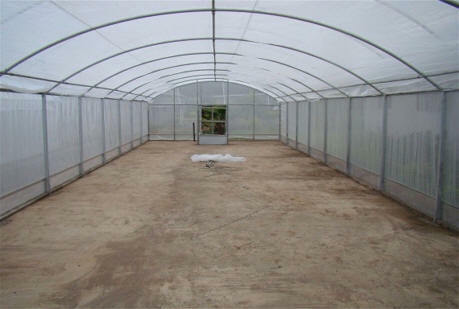 Batten strips, batten tape, or poly-lock devices may be used to secure the film to the greenhouse frame. As with most plastic coverings, install Eskay Lite during warm weather or if during winter, on a warm day. For the ends of greenhouses where maximum visual impact is important. For sales areas where products can be easily seen from the outside. For closures that require a plastic more rigid than polyethylene film. For any type of portable enclosure where see-through is desirable. Call 800-531-4769 more more details.